Live Well, Play Well: New Year, New You! Cooking Demonstration to Help You Eat Right & Eat Smart. ALL YEAR LONG! 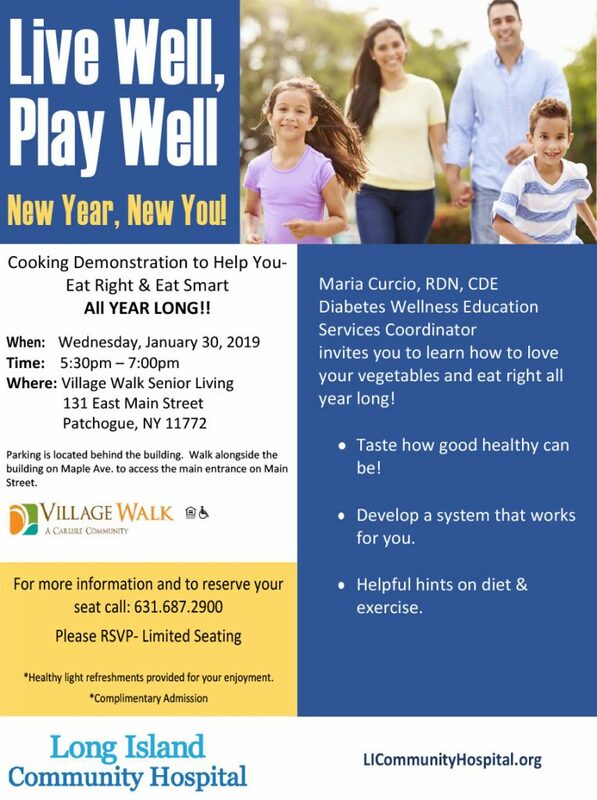 Maria Curcio, RDN, CDE Diabetes Wellness Education Services Coordinator invites you to learn how to love your vegetables and eat right all year long! Taste how good healthy can be! Helpful hints on diet & exercise.